There are many different types of Brain Teasers on this Fun With Puzzles website. You can solve here Maths Brain Teasers, Logical Reasoning Puzzles, Picture Brain Teasers, Word Brain Teasers and Riddles. However there are not many What am I? type of riddles on this website. 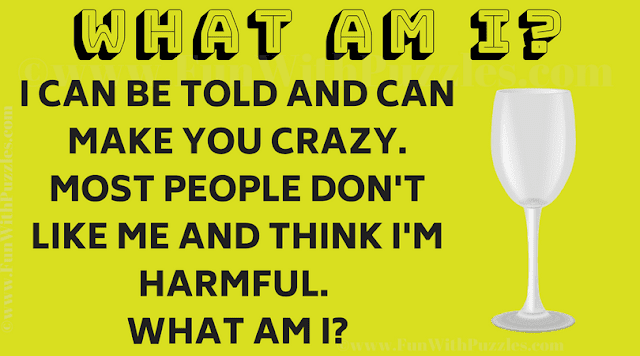 Now onwards we will be posting few What am I? Riddles. Looking forward to audience feedback on these type of Riddles. Anyway let's see if you can solve this Riddle? Can you solve this What am I Riddle? Answer of this "What am I? Riddle", can be viewed by clicking on answer button. Please do give your best try before looking at the answer.